Her songs have touched millions. Her voice heard around the world; her heart an open book. 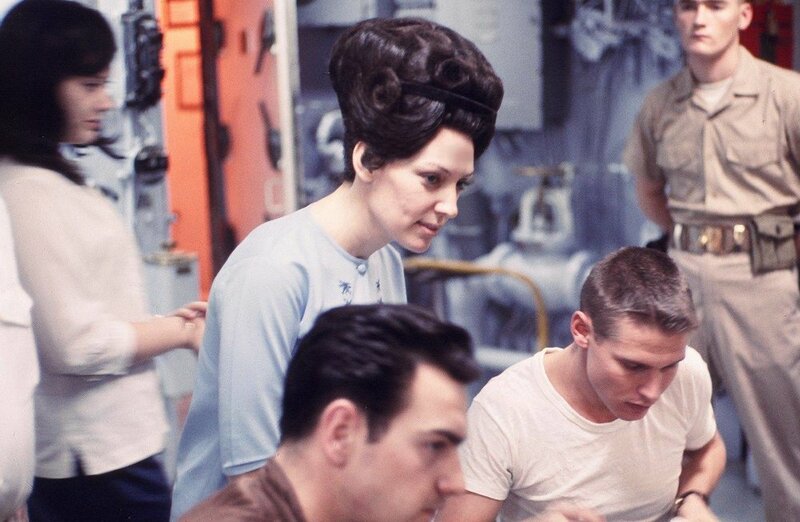 Celebrating 60 years of changing lives in song and word — this is the story of Dottie Rambo. Dottie Rambo was born Joyce Reba Luttrell March 2, 1934 in Madisonville, Kentucky during the height of the Great Depression. She grew up in poverty and developed an early affinity for country music. Dottie learned to play guitar while listening at night to the Grand Ole Opry on WSM radio in Nashville. At eight years of age, she started writing songs while sitting on a creek bank near her Morganfield, Kentucky home. 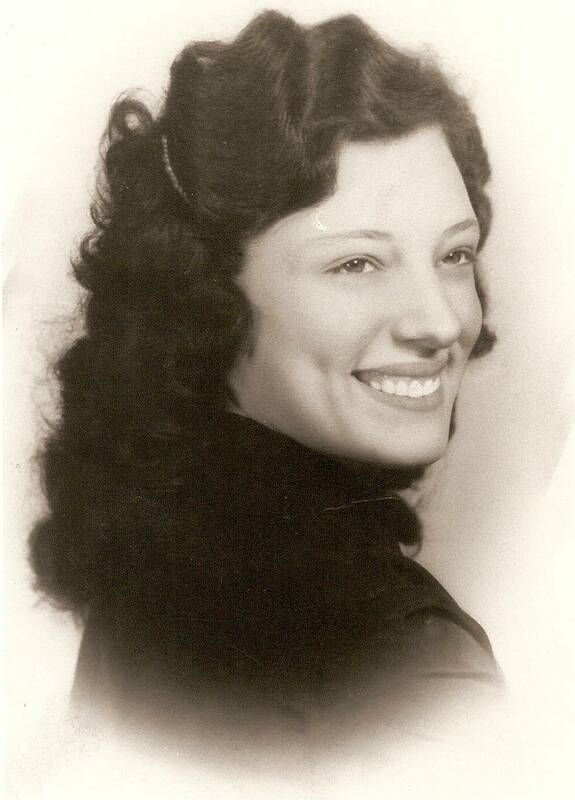 She had the support of her mother and father, and by age ten she was singing and playing country music cover tunes on a local radio program. At twelve years old, she became a born-again Christian and made a commitment to write and sing Christian music. The decision turned out to be pivotal in more than one way; it did not sit well with her father who gave her an ultimatum – give up Christian music or leave. She left home and went on the road, with her first engagement being at a church in Indianapolis, Indiana. She traveled by Greyhound bus from one church to another, returning home for Christmas and her birthday. One of her songs caught the attention of then-governor of Louisiana, Jimmy Davis. Governor Davis flew her and her family to the governor's mansion so that she could sing her songs for him. Governor Davis paid Dottie around three-thousand dollars to publish her songs. It was more money than she had ever seen. Once Jimmy Davis Music started promoting Dottie Rambo songs in the early 1960s, things would never be the same. 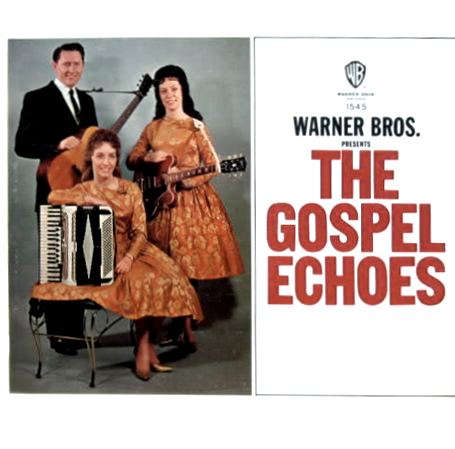 During this time Warner Brothers Records signed Dottie and The Gospel Echoes, to a two-record deal. In the middle of it, Warner’s executives didn’t know what to do with Christian music and suggested that the group move to folk (which the label did with Peter, Paul and Mary) and that Dottie consider doing rhythm and blues. They declined both offers. Their hearts were in Gospel music and couldn’t be budged. Within the span of a few more years The Rambos went from $50 offerings for singing in churches to singing at the largest concert dates across the country. They were among the first non-quartet singers to sing at the Gospel Quartet Convention. The Rambos were one of the first Gospel groups to sing in Vietnam for the American troupes in 1967. But they didn't stop at the stage. Their hearts led them to the medical tents where men were hurt and dying. Dottie’s family sang, prayed and ministered to those who were hurt beyond repair. Nobody asked them to, but they went above and beyond the call of duty at every turn. Dottie’s 1968 album, It’s The Soul of Me, won the GRAMMY for Best Gospel Album, beating out the likes of Mavis Staples and James Cleveland. Billboard magazine called her "Trendsetter of the year" because of singing with an all-black choir. Her recordings held fast to the cutting edge, using top Nashville musicians, always making her records on par with anybody else on the charts. Dottie continued to observe and adapt. And the songs never stopped. From 1989 Dottie endured severe back pain from a ruptured disc that caused her vertebrae to calcify to her spinal cord. Sadly the physical, emotional and financial strain took its toll and in 1994 Buck and Dottie divorced. But Dottie could not be kept down! A dozen surgeries did not quiet her gift. Throughout the 1990s Dottie continued to sing across the country and on television. Each step made her stronger. Each moment she sang and spoke to others built her confidence and strength. And the accolades kept coming in. In 1994 the Christian Country Music Association awarded her with the Songwriter of the Century Award. Even the industry outside Gospel music took note of all that Dottie Rambo accomplished. 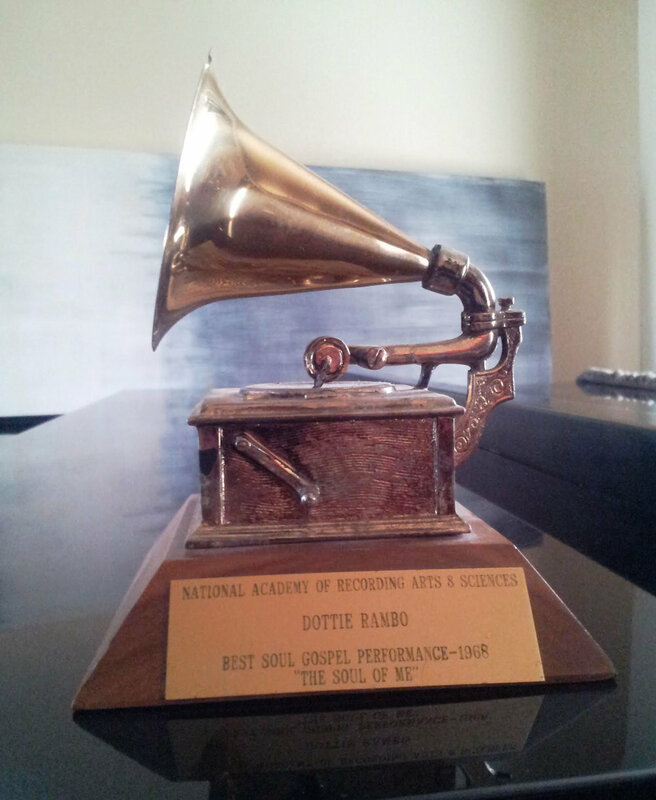 In 2000, ASCAP honored Dottie with the prestigious Lifetime Achievement Award. The 21st century brought her back into the recording studio making her 71st album, Stand by the River. Again it was a chart topper — giving Dottie hit records through five decades. And it had the added prestige of the duet with country legend Dolly Parton being nominated for CCMA song of the year, duet of the year, Dove nominated for Country Recorded Song of the Year, Gospel Fan Awards for Duo of the Year and Song of the Year. Tragically, as her tour dates were again increasing, her life was to come to an end. In route to a series of concerts in Texas, Dottie’s tour bus was blown off the road. The impact took her on Mother’s Day weekend, 2008. The Christian music world, family, and friends were devastated by the loss. Over four thousand people attended her home-going service at Christ Church in Nashville, Tennessee. The choir loft was packed full of singers and songwriters from the Christian music world who wanted to participate in her remembrance (led by Bill Gaither). Even then-President George W. Bush sent a flag from the White House that had flown on the day of her passing. It seemed the whole country felt her loss. But her spirit lives through the music she has left behind. In September, 2009, a posthumous CD of songs she was recording at the time of her death were released. Sheltered, would capstone her recording career, covering classics like “Sheltered in the Arms of God” and “Remind Me, Dear Lord,” and well-loved songs such as “I’ve Never Been This Homesick” and “If That Isn’t Love,” Also carrying on the torch of her songs are the loved ones left behind: daughter Reba Rambo-McGuire, son-in-love Dony McGuire, and grandchildren Dionne & Scott Dismuke, great grandson Dyson, Destiny Rambo McGuire & Israel Anthem. Her family has recorded two projects as “Rambo McGuire” celebrating Dottie’s music. The songs of Dottie Rambo have proven staying power. Through good times and bad, triumph and trial, they are there to console, uplift and sometimes just make you laugh. Her songs — emanating from record, cassette, CD players, and digital files — are the modern-day campfire we all gather around and feel warmed. There is a belief: even if she hadn’t written one song, she still would have changed the world — this is story of Dottie Rambo. Dottie And Rev. Greer Rehearsing "It's The Soul Of Me"